In the UDOO Shop you can also find some accessories for the UDOO X86. See the image below for mounting instructions. Heads up! 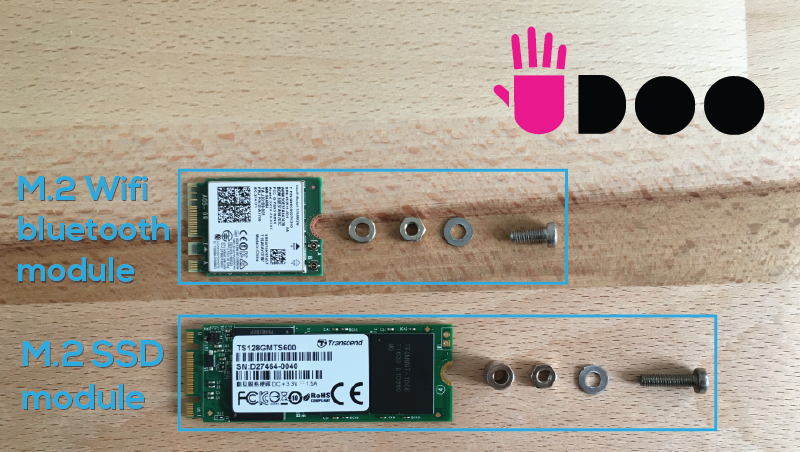 Intel® Dual Band Wireless Wi-Fi AC and Bluetooth 4.2 module (Intel® AC3168) was released in 2016 so we suggest to use a recent distribution to find the latest drivers already installed. If you are using a Linux distribution you need at least the v4.6 of the Linux Kernel to make this module work properly. Heads up! You need both the antennas to make the module works properly. Connect an antenna to the Main A connector to enhance Wi-Fi signal. Connect an antenna to the Aux B connector to enhance Bluetooth and BluetoothLE signal. 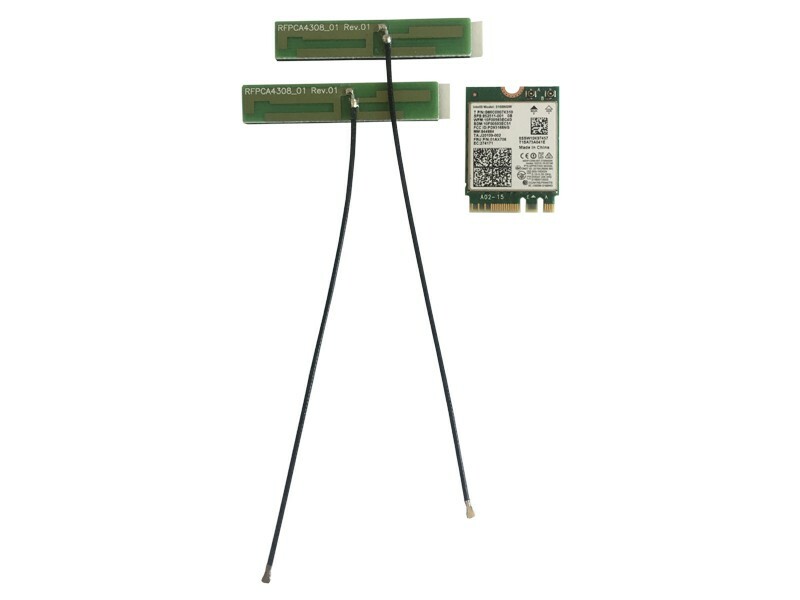 This module is based on 2x Realtek 8111GS Ethernet controllers (fully compliant with IEEE 802.3, IEEE 802.3u, IEEE 802.3ab). 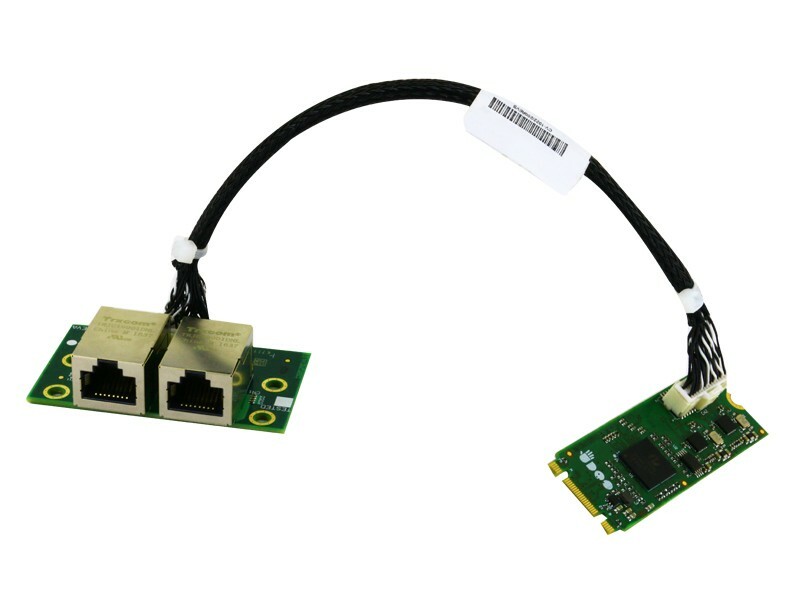 When the M.2 dual Ethernet Module Kit accessory is plugged into M.2 Key B slot, the UDOO X86 board will offer three different Gigabit Ethernet ports. 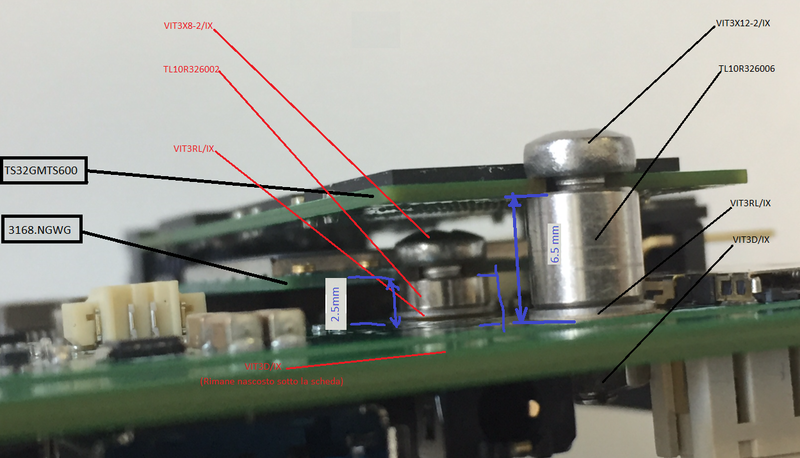 Check this images to know how to correctly mount M.2 accessories. Heads up! 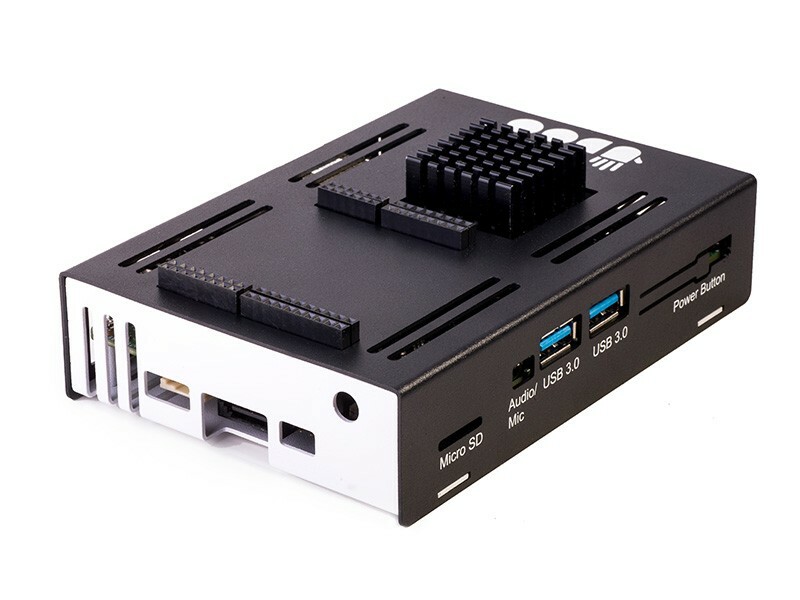 Screws, spacers and all other fixtures to mount the M.2 accessories are not included with the accessories items, but they are included when you buy any model of the UDOO X86 board. 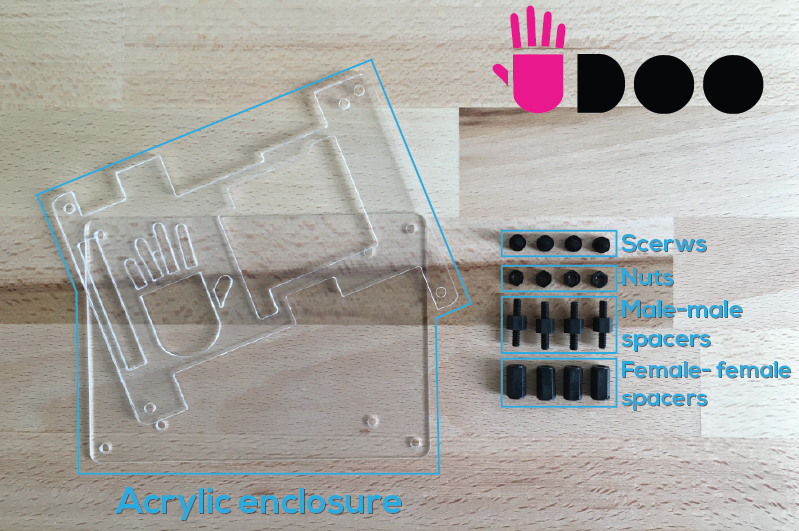 If you haven't the M.2 mounting kit arrived with the board you can buy it in the UDOO Shop: Screws and spacers kit for M.2 accessories mounting. 3- Connect the HDMI port of the LCD to the HDMI port on your UDOO with an HDMI cable. Heads up! When multiple displays are detected by your UDOO, the LCD can only be used to control the cursor on main displays. 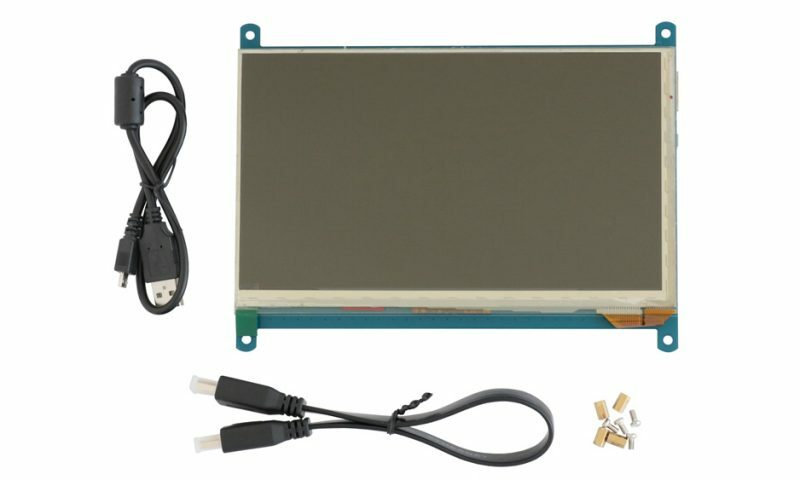 So it is proposed to set the LCD as the main display. 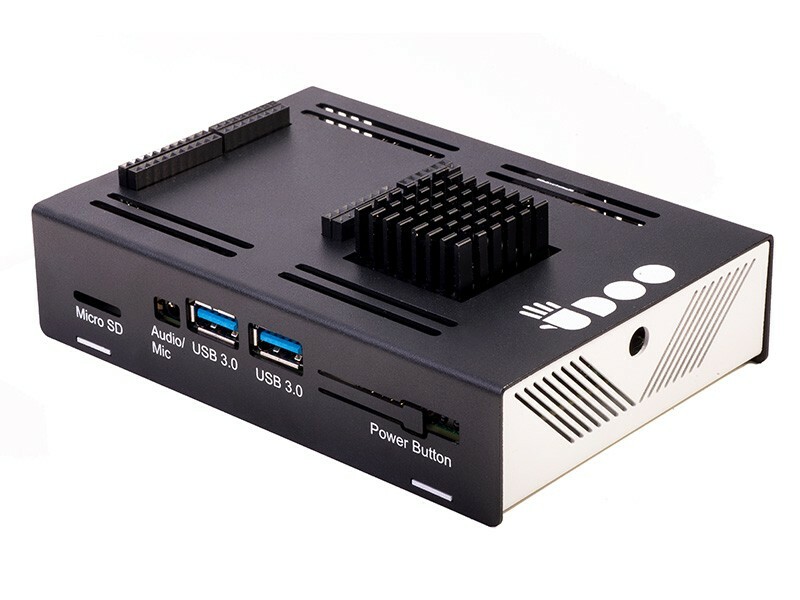 A beautiful metal case for your UDOO X86 Board. Heads up! 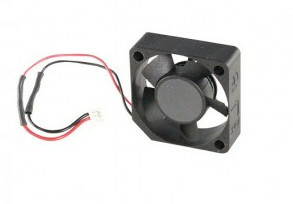 Please notice that the case does not dissipate heat, so you’ll need the Fan Accessory if the temperature of the processor seems too high for the use you are doing of the board. Check here the mechanical drawing to see the dimensions of the case. The case features also two holes, in the two sides, for connecting externally the WiFi and BT antennas of the M.2 module through a RP-SMA connector. 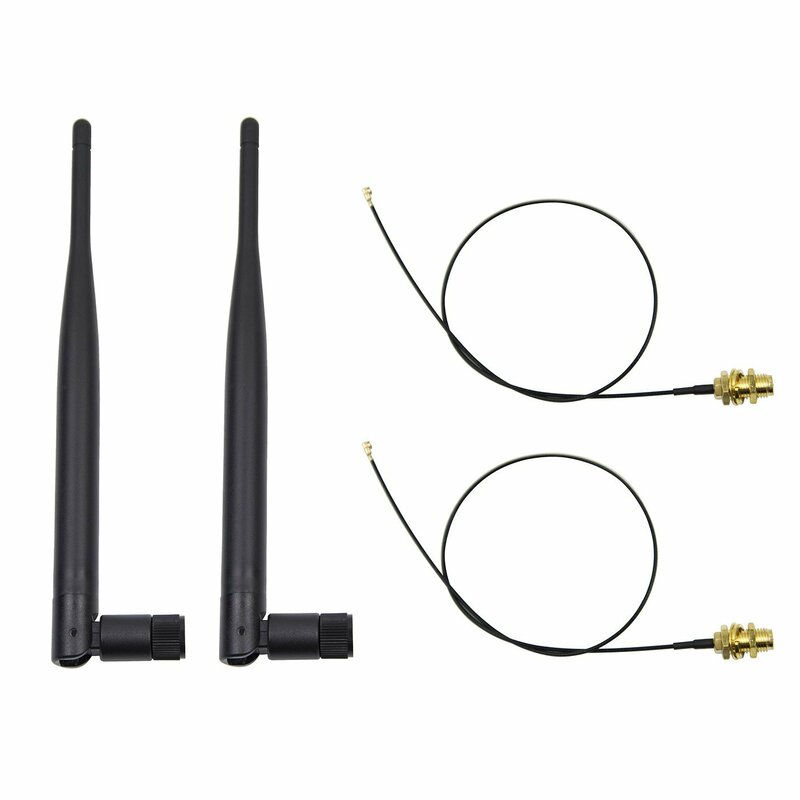 For example you can use 2x U.FL/IPEX to RP-SMA cables and 2x RP-SMA antennas like in the following image. Heads up! These items are not included. 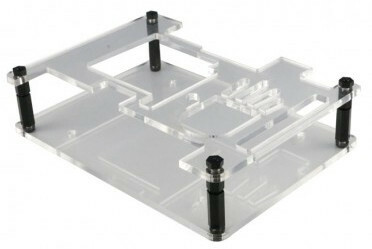 Here you can download the cutting file of the acrylic enclosure. You don’t need a CPU fan for your ordinary activities, but the fan will help you out with complex projects that require a lot of power. The CPU fan is applied on the heatsink. It has 3 pins and you can set up thresholds inside the BIOS to automate it. It’s pretty much plug-and-play. Jack Dimensions: (Inner diameter) 2.1mm - (Outer diameter) 5.5mm.